You may have noticed that I haven’t been too active on the social media / blogging front of late. It certainly isn’t because there isn’t much to write about…especially when you consider the release of BizTalk Server 2016 (including the Logic Apps Adapter), the General Availability of Azure Functions, and many other integration events leading up to these! 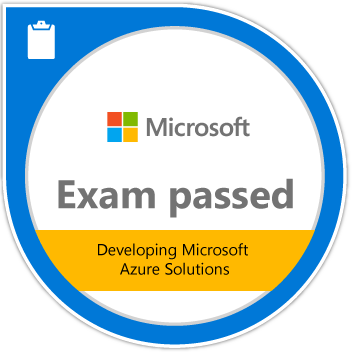 And for those on the certification path, there’s news of the refresh of the Azure exams as well. Aside from studying for exams, I’ve also been heavily tasked at work as Mexia has had a profoundly successful sales year in 2016 – which translates into an overload of work! No wonder we’re heavily recruiting right now, looking for those “unicorns” that can help us remain as the best integration consultancy in Australia. There has been a fair amount of travel lately, and as Mexia’s only Microsoft Certified Trainer (MCT) I will continuing to deliver courses in BizTalk Server Development, BizTalk Server Administration, BizTalk360, and Azure Readiness. That means many more hours preparing all of that content. But it hasn’t stopped me from speaking, at least not entirely. Aside from regular presentations at the Brisbane Azure User Group (including this one on Microsoft Flow), I’ve also been a guest presenter at Xamarin Dev Days in Brisbane where I talked about Connected and Disconnected Apps with Azure Mobile Apps. Looking forward to writing posts more regularly again after this exam crunch is over. There’s a lot of exciting things happening in the integration world right now!